Great location to the beach and pool. Breakfast buffet was yummy. Front desk girls were friendly and happy but didn't even know how to tell us how to turn the fan off. someone should give them a tour of a room and explain how things work. Our coffee maker outlet had no power. Front desk girl sent engineers to fix it, they just hooked up the coffee maker into the dead outlet and left. We moved it to a working outlet again. We are glad we didn't try to charge our phone on that dead outlet. Cleaning staff was very friendly, pool guy very friendly and informative about the bus to the golf tournament. Where to find Hardeeville hotels near an airport? Where can I find hotels in Hardeeville that are near tourist attractions? If you would like to visit Hilton Head and would like to book either an affordable or upscale place to stay in Hardeeville, you'll discover plenty of great accommodation options with Expedia. Hardeeville offers about 12 hotels within easy driving distance of the downtown area. 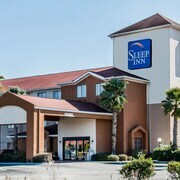 The Quality Inn And Suites and Knights Inn Hardeeville Sc are the more centrally located hotels in Hardeeville. 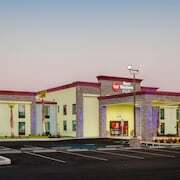 The Red Roof Inn Hardeeville, Knights Inn Hardeeville Sc and Super 8 Hardeeville SC are useful hotel choices for those who are after budget accommodation. The Montage Palmetto Bluff can be found 20 kilometres (13 miles) away from the center of Hardeeville. Another accommodation option is the Ballastone Inn, which is positioned 25 kilometres (15 miles) away. You could also check out the amenities and rates at the The Bohemian Hotel Savannah Riverfront, Autograph Collection or the Embassy Suites Savannah. Keen on seeing even more of the beaches this area offers? Why don't you book some extra nights in other places in Coastal South Carolina? You could tour local points of interest or enjoy cycling and shore fishing and afterwards find a convenient hotel. The closest hotels in Hilton Head are Bluffton and Shipyard Plantation. Bluffton is 20 kilometres (13 miles) to the east of Hardeeville, while Shipyard Plantation is 35 kilometres (22 miles) to the southeast. Bluffton accommodations are the Comfort Suites Hilton Head Island Area and Holiday Inn Express Bluffton at Hilton Head Area. While apartments and hotels are the Disney's Hilton Head Island Resort and Marriott's Grande Ocean. If watching sport is what you love, head to Grayson Stadium, which is 25 kilometres (17 miles) to the south of Hardeeville. For those who are interested in booking a room nearby, make a reservation in the Hamilton-Turner Inn or Mansion on Forsyth Park, Autograph Collection. Situated 20 kilometres (13 miles) from Hardeeville is Savannah - Hilton Head International Airport. 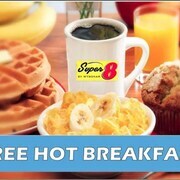 Stay nearby at Embassy Suites by Hilton Savannah Airport or Hampton Inn and Suites SavannahAirport. What are the most popular Hardeeville hotels? Are there hotels in other cities near Hardeeville? 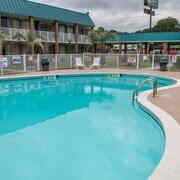 What other types of accommodations are available in Hardeeville? Explore Hardeeville with Expedia.ca’s Travel Guides to find the best flights, cars, holiday packages and more!